The new BMW M3 CS (fuel consumption combined: 8.3 l/100 km [34.0 mpg imp]*; CO2 emissions combined: 194 g/km*) is a four-door high-performance sedan that serves up a perfect blend of motor racing prowess and complete everyday practicality.  The new special-edition model from BMW M GmbH will be built from March 2018 and limited to a run of approximately 1,200 units due to production factors. 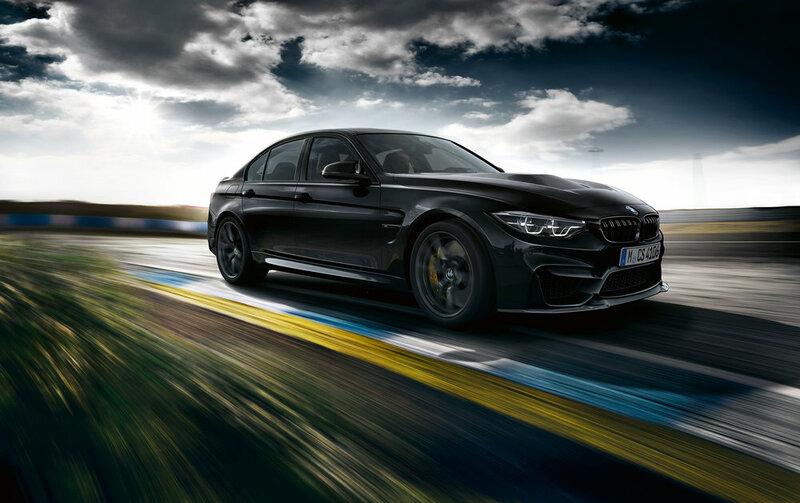  The new BMW M3 CS is fitted with the same six-cylinder in-line engine with M TwinPower Turbo technology that has proved its potency in the existing BMW M3 models. It channels the engine’s power through the seven-speed M Double Clutch Transmission (M DCT) as standard and also boasts a sports exhaust system featuring CS-specific sound tuning and the M logo.  The output of the new BMW M3 CS has been raised to 338 kW/460 hp (10 hp more than the BMW M3 with Competition Package) and its peak torque to 600 Nm / 442 lb-ft (+ 50 Nm / 37 lb-ft).  The new BMW M3 CS sprints from 0 to 100 km/h (62 mph) in just 3.9 seconds. Top speed is an electronically limited 280 km/h (174 mph).  The bonnet, roof, front splitter, Gurney and rear diffuser on the new BMW M3 CS are made from carbon fibre-reinforced plastic (CFRP). The weight saving over the standard BMW M3 is 10 kilograms. 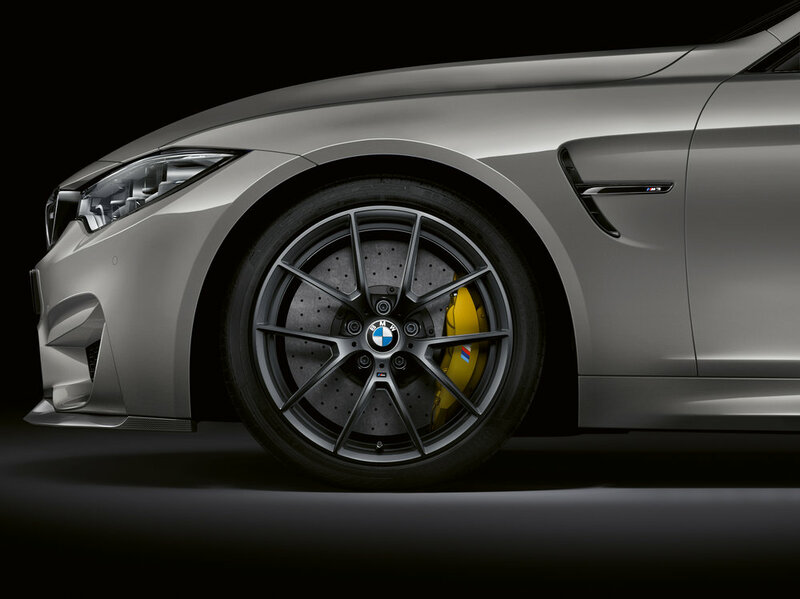  The new BMW M3 CS comes as standard with M compound brakes featuring four-piston callipers at the front and two-piston callipers at the rear. The new special-edition model rides on DTM-design light-alloy wheels in Orbit Grey Matt.  The interior of the new BMW M3 CS is dominated by a mixture of sporty and sophisticated Alcantara and two-tone full leather in Silverstone/Black.  The new special-edition BMW M3 CS is available to order from January 2018.